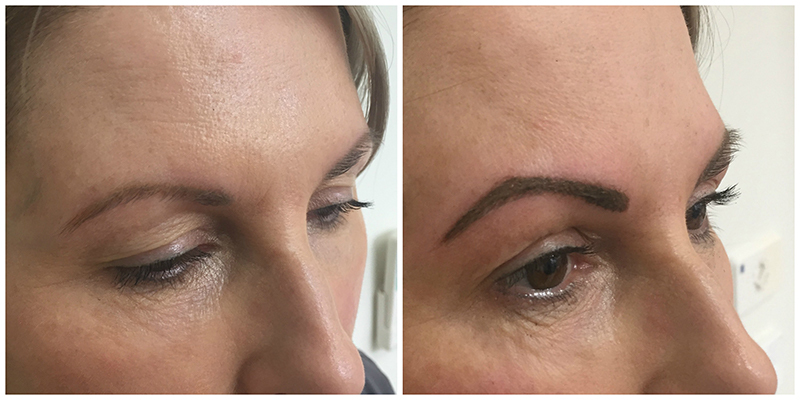 Cosmetic tattooing or what sometimes can be referred to as ‘permanent make-up’ has been around for several years. 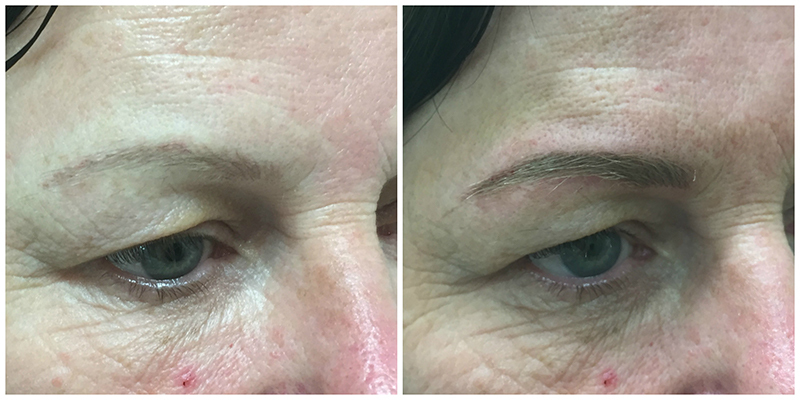 It is an aesthetic treatment performed to establish definition and colour in the eyebrows, form a more permanent eyeliner to brighten the eyes and aids in reshaping and adding colour to the lips. 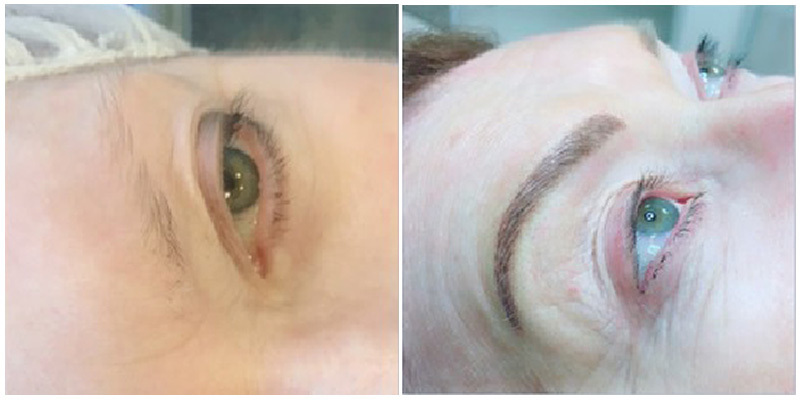 Cosmetic tattooing is vastly increasing in popularity as the days of applying and re-applying make-up, even smudging or fading make-up are eliminated. This treatment is also beneficial for those individuals who develop alopecia following chemotherapy or struggle with cosmetic allergies. How does Cosmetic Tattooing work? Cosmetic tattooing involves implanting coloured pigments using a specific and very fine needle deep into the skin. The initial treatment can take approximately an hour and a half to complete due to what is involved and how the body naturally responds. In the majority of cases, a touch-up treatment is required. This is due to the pigment essentially being an implanted foreign object. The second touch-up treatment should be performed around 12 weeks after the initial treatment. Further touch-up treatments may be required annually or every few years to maintain the colour. These supplementary touch-up treatments are charged separately, and these additional costs can be discussed with your dermal clinician. Prior to commencing treatment, a topical anesthetic cream is applied to minimise any discomfort. Discomfort varies for each individual; some people don’t feel anything at all, whilst others can feel a mild scratching on the skin. Are there any Cosmetic Tattooing side effects? Initially post-treatment the area will appear mildly swollen, with the pigment appearing darker due to blood increasing in the area. So, do not be alarmed as this is only a phase and can last around three to four weeks. Scabbing of the area is also quite common due to the body attempting to eliminate some of the pigment. It is important to not attempt to pick the scabs as this may increase the chances of scarring. This is also why more than one procedure may be required to reach the ideal treatment outcome. Who can have Cosmetic Tattooing? Anyone can have cosmetic tattooing treatments. However, the speed at which the skin heals differs for each individual and can be influenced by certain medical conditions and medications. How much does Cosmetic Tattooing cost? Here at CRC our Cosmetic Tattooing treatments are bundled into packages. a review appointment that is two weeks post the follow-up treatment. We package all our cosmetic tattoo services to ensure that only the highest standard of quality is delivered to our clients and that each individual’s expectations are met. An initial prior consultation with our highly experienced dermal clinicians is required to plan the treatment as well as assuring all client expectations are met. This includes the tattoo design, colour, and positioning which is drawn on the area first to ensure you are satisfied and comfortable. The duration of this consultation can take up to 45 minutes to perform and costs $50.00. © 2019 All Rights Reserved The Cosmetic Refinement Clinic. Fill in your details below and we will be in touch to confirm your booking.